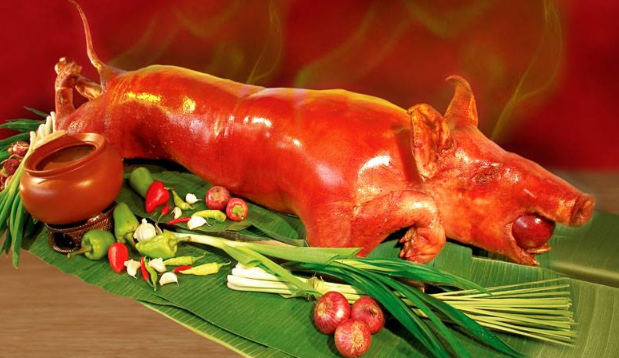 With the long list of parties and family reunions you had to attend during the holidays, the feasting almost never stops and, by the end of it, you can happily blame the weight gain to a Filipino fiesta favorite: lechon. 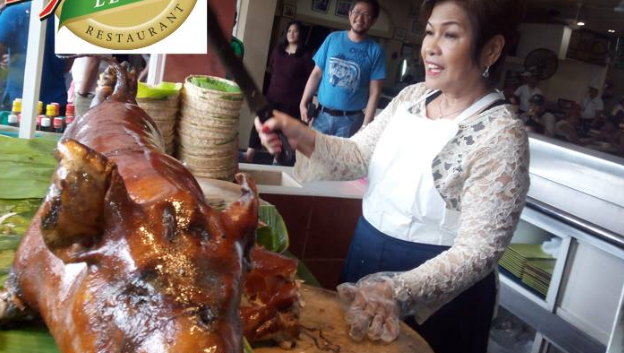 For the past 50 years, one woman’s name has become synonymous to lechon, what with generations of Filipino families trusting its roasters for the best-tasting lechon around. But before Lydia’s Lechon became the household name we know today, it was a humble sidewalk store in Baclaran, and its gutsy owner had to work her way to the top—one kilo of lechon at a time. At 7 years of age, Lydia de Roca already understood the basics of entrepreneurship, thanks to her parents who were both lechon roasters. The young Lydia accompanied her father everyday in front of the Baclaran church to sell lechon for P50 per kilo, watching him and his friends offer bargains, while she took care of the lechon’s packaging. Lydia married in her late teens and eventually had children of her own. Still, she continued her family’s business of selling lechon by the sidewalks in front of the Baclaran church. But, admittedly, becoming a mother prompted Lydia to aim higher for the welfare of her growing children. In 1965, Lydia bore her second child, Ricky, and received P500 worth of cash gifts during the baby’s baptism. Lydia took her chances and used the money as initial capital and opened a stall in front of the Baclaran church. And the rest, as they say, was history. Since the beginning, Lydia has always been hands-on and meticulous. She sharpens her own knives, and cooks the lechon herself with the help of her husband, even preparing the lechon sauce herself. Her exceptional cooking and exemplary work ethic earned Lydia many avid customers in Baclaran. It was during the 1980’s when the big names and the hotshots started noticing her lechon. Eventually, Lydia’s became a supplier to five-star hotels and restaurants, including Via Mare. One of Lydia’s early customers was Henry Sy, who later invited her to set up a stall in the food court of his ShoeMart, which eventually grew into the SM Malls we know today. The feisty Lydia did not really have the capital needed to set up the stall, but she said yes to the offer anyway. This opportunity became one of her company’s gateways to success. Today, Lydia’s Lechon has 30 branches all over Metro Manila, eight of which are stalls located in various SM food courts. Even if Lydia already celebrated her golden year in the lechon business last November, she still remains very hands-on with the business. 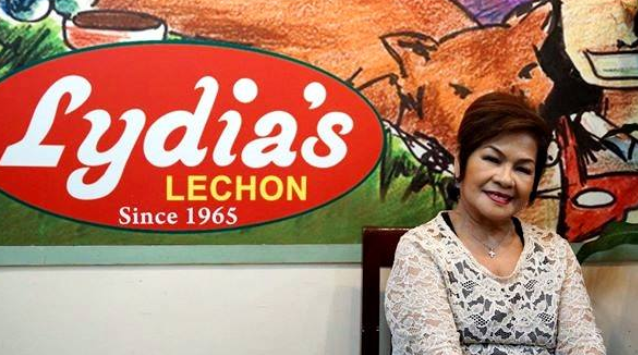 She still wakes up at midnight just to oversee the pig-roasting at the company’s head office, and continues to create the famous Lydia’s lechon sauce. “Diniskartehan ko talaga kung paano pasarapin ang luto namin. Kasi sa word-of-mouth pa lang, malalaman na ng mga tao na ‘yung Lydia’s Lechon, masarap. So, hahanapin ka talaga ng mga tao,” Lydia adds. Today, the 67-year-old entrepreneur continues to work like a young gun. While her children now share some of the workload, Lydia still oversees the company’s operations and deliveries, what with more than a hundred pigs roasted every day.